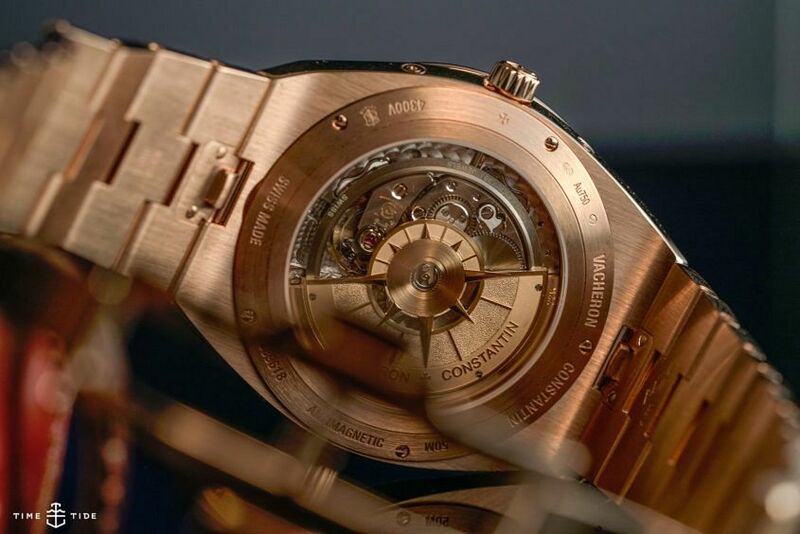 When it comes to Vacheron Constantin’s SIHH releases, there’s no doubt the pieces that were the talk of the town (and rightfully so) were the epic Twin Beat and the slightly less epic but epically attractive Overseas Tourbillon. And I get it, they’re both great watches. The Twin Beat is a triumph of clever engineering and the Overseas Tourbillon is downright gorgeous. But the heart wants what the heart wants. And the Vacheron Constantin my heart wanted wasn’t really a new watch at all. But, instead, an existing piece on a new bracelet. And, boy, what a difference a bracelet can make. 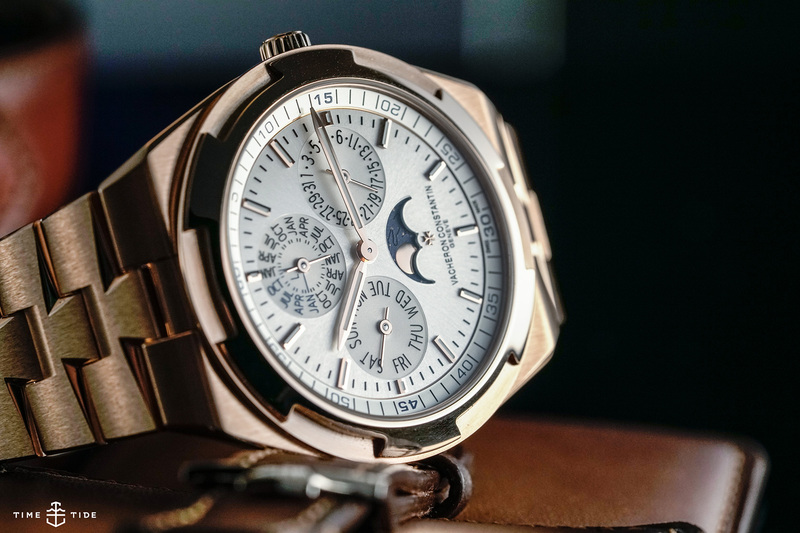 But before we get to that, a quick recap on the Vacheron Constantin Overseas Perpetual Calendar Ultra-Thin. It was released last year on blue rubber and leather, and looks great. 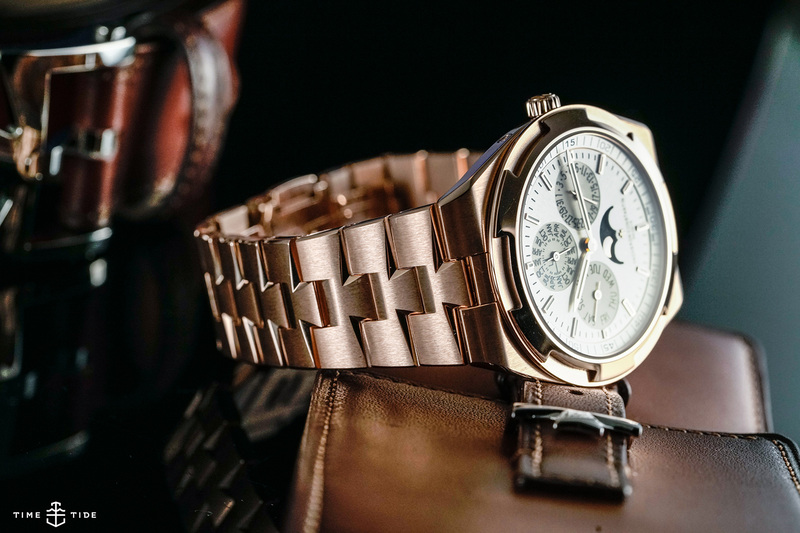 It had that sporty-with-a-very-healthy-dose-of-luxe Overseas look, which is dialled up to 11 in its 41.5mm pink gold case. And then there’s the opaline dial in a classic perpetual calendar configuration, all powered by the mighty 1120 QP/1. So the watch is already a heavy hitter, merely by virtue of being a gold perpetual calendar from one of the greatest houses. But, add to that a truly epic pink gold bracelet, brushed with that trademark Maltese cross pattern and this Overseas reaches into statement piece par excellence very quickly. It’s just a brutally great thing to wear, even though it clocks in at near 200 grams. But the best thing about the new bracelet? If you want to tone it down, all you need to do is swap it out using VC’s quick-change system in a matter of seconds. Vacheron Constantin Overseas Perpetual Calendar Ultra-Thin, in pink gold on bracelet, $140,600.